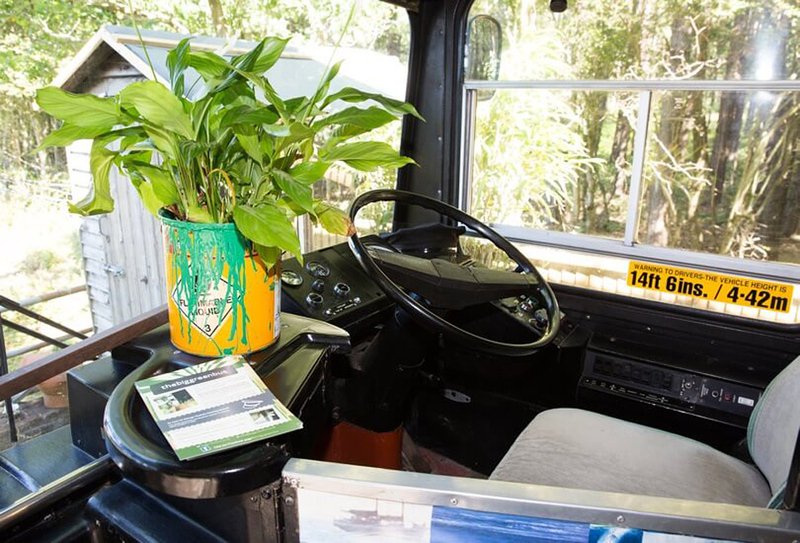 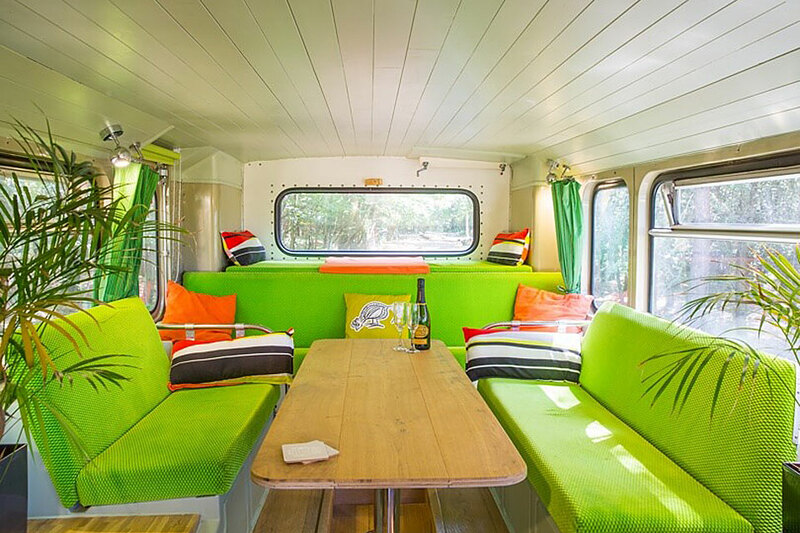 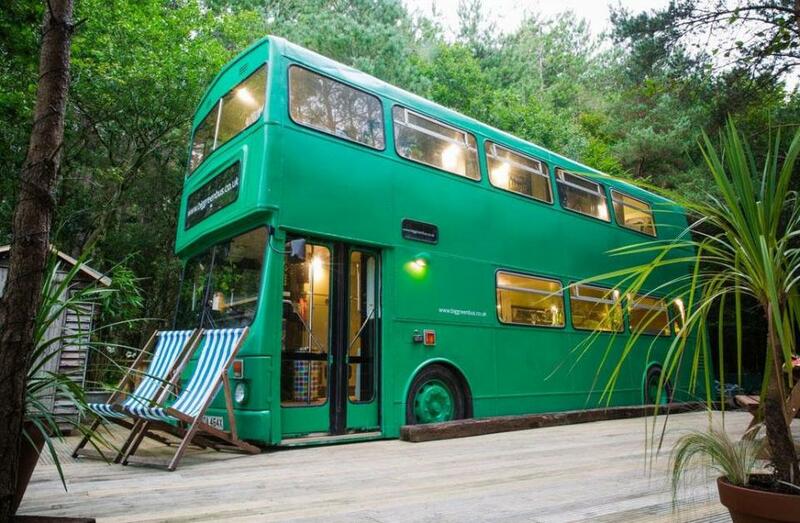 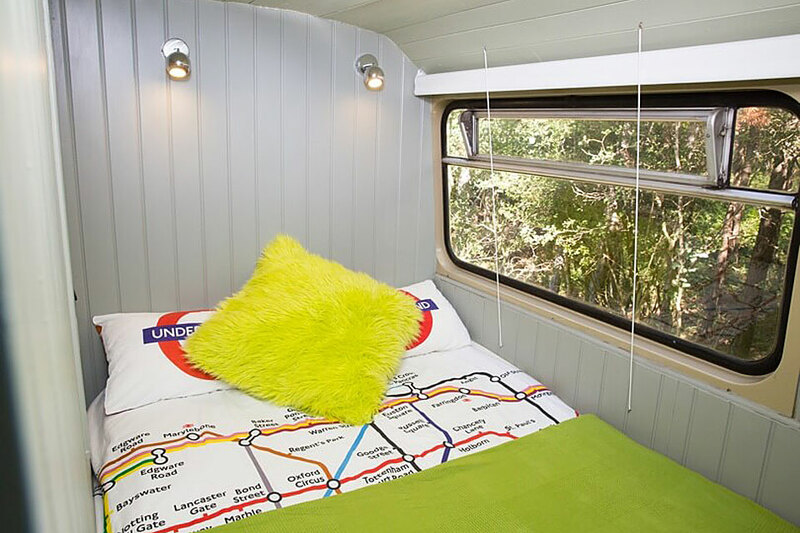 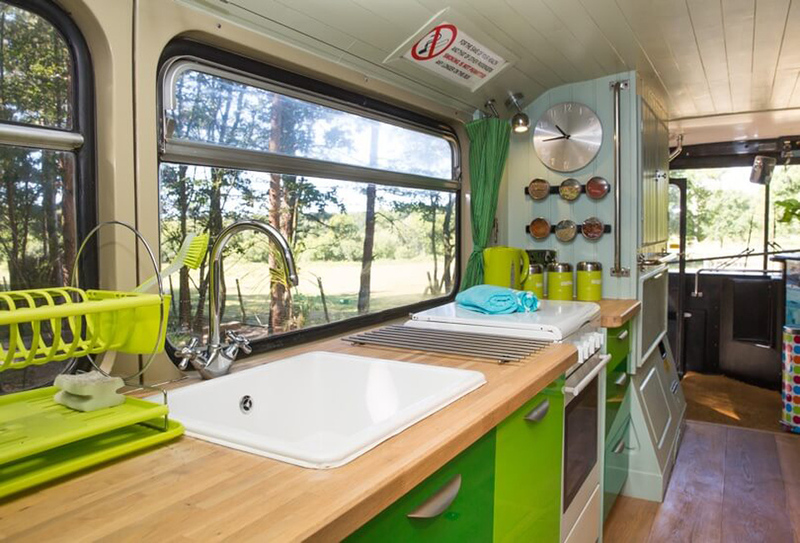 Tucked away in a private woodland, the Big Green Buss brings a piece of the city to the Sussex countryside. 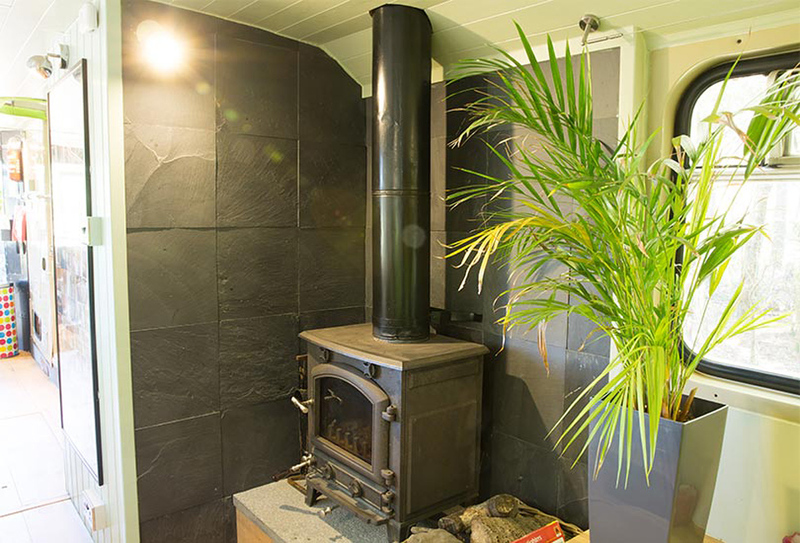 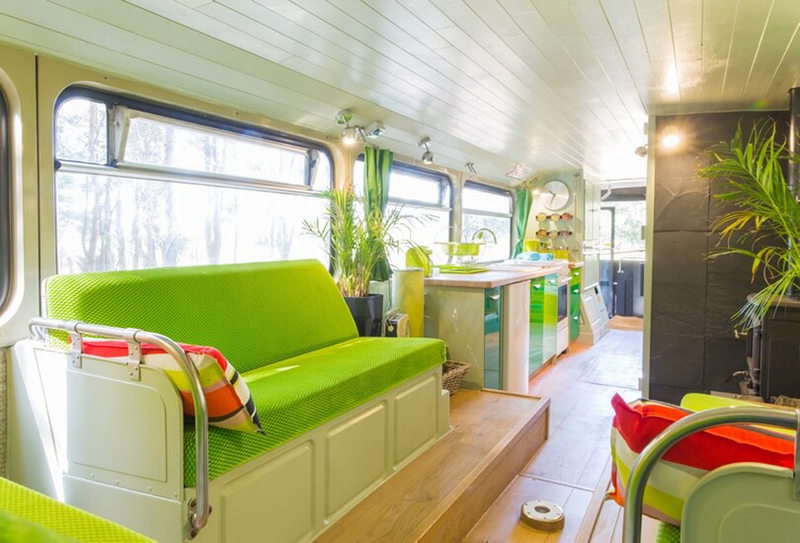 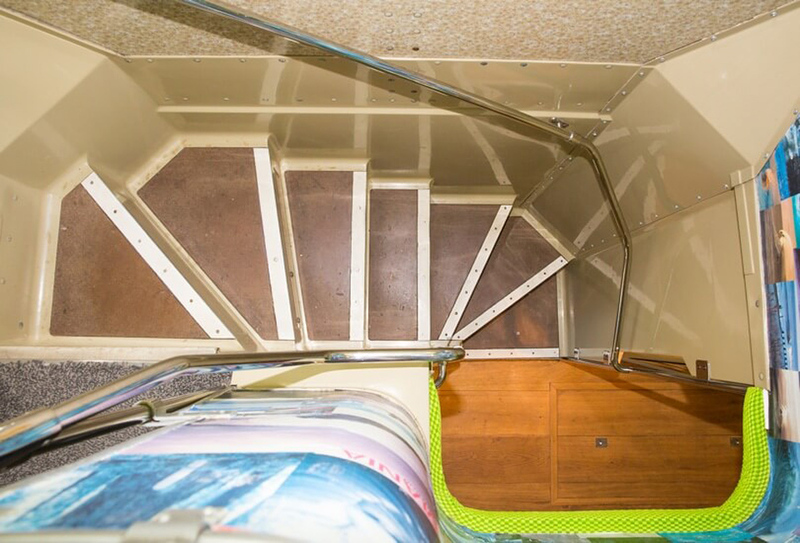 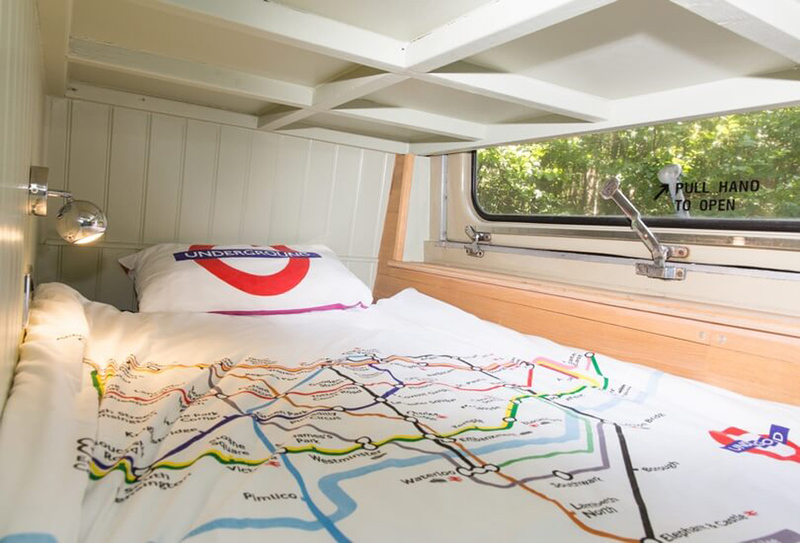 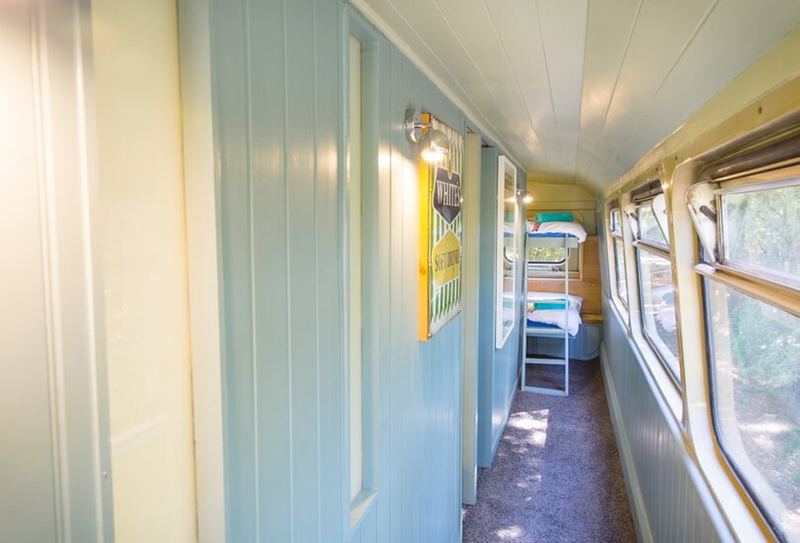 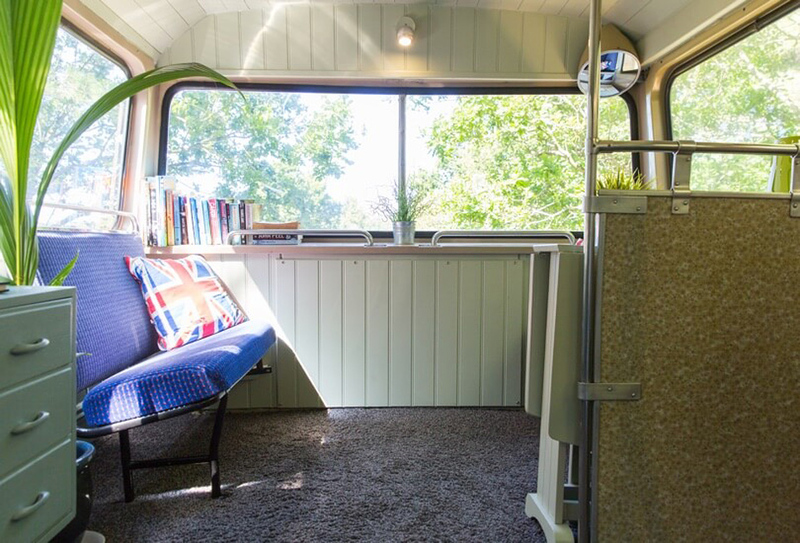 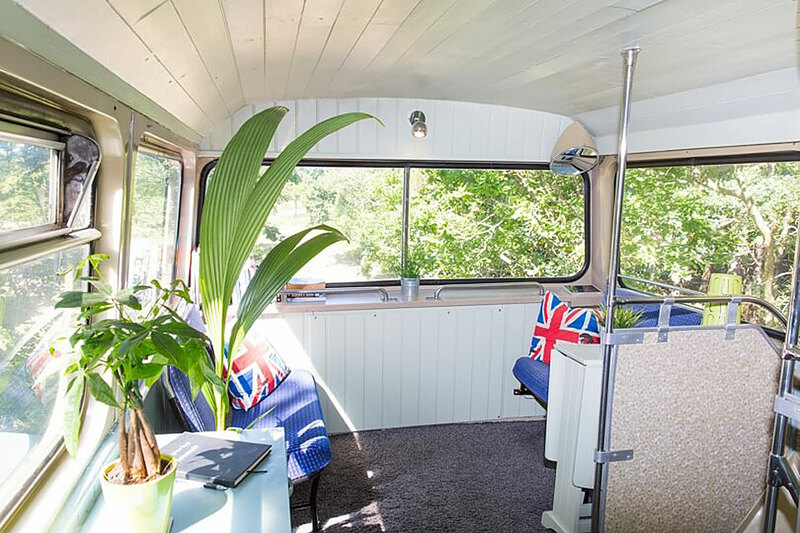 The converted 1982 West Midlands metro bus now offers accommodations for six as well as a full kitchen, wet bath, and living area with a wood-burning stove. 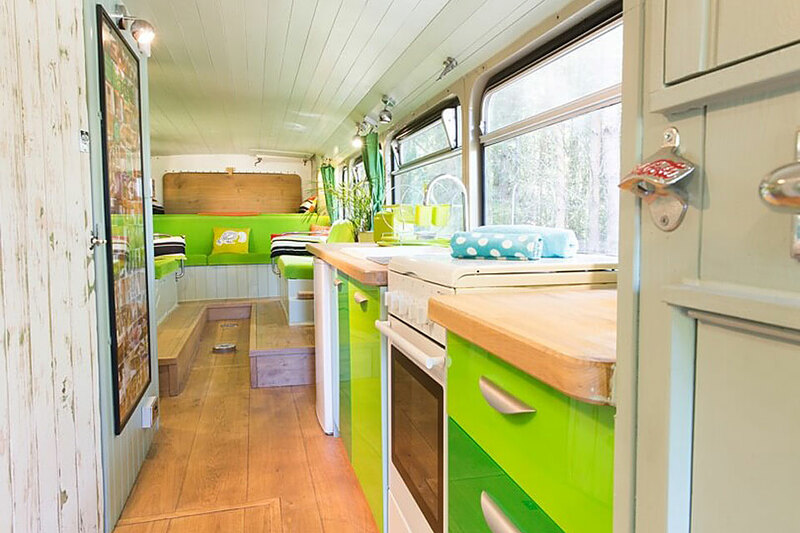 There’s no wifi or TV, but that’s part of the fun. 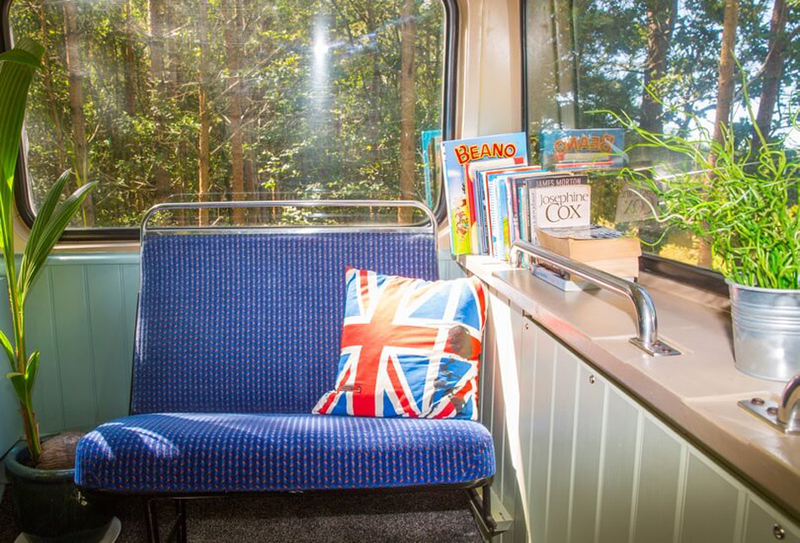 The lounge is completely stocked with books and board games to keep you occupied. 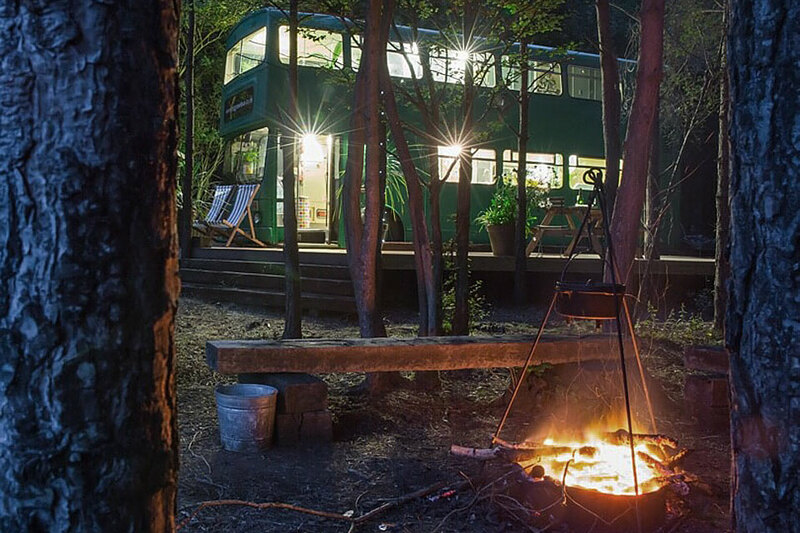 Outside the bus, there’s a second shower, wrap-around deck, fire pit, and wood-fire hot tub to take in the surrounding scenery.